What Is a Good Substitute for Cherries? 2 What Is a Good Substitute for Cherries? 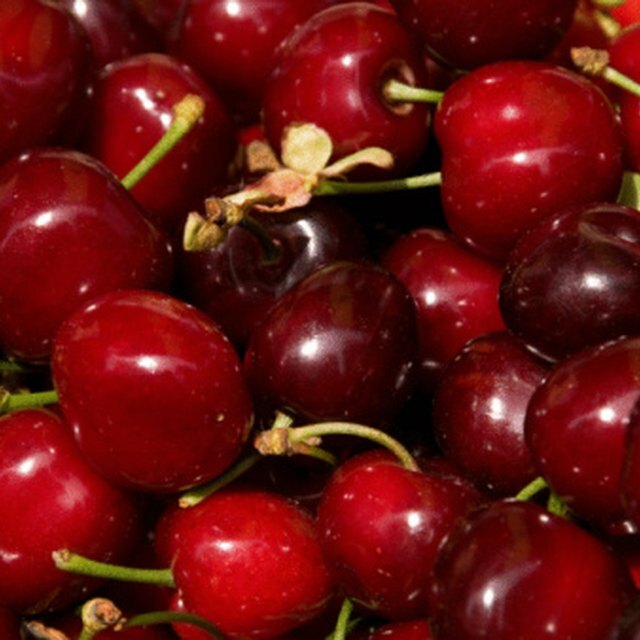 Cherries are one of nature's deserts that complement any food or drink. However, because they are from nature, they can only stay fresh for so long. It has long been possible to dry and preserve them so anyone anywhere may enjoy them. Cherries can be revived by reconstitution. Reconstituted dry cherries give a flavorful impact to pies, chocolates, or cocktails. Place the dried cherries into a colander and rinse in the sink. If not already pitted, pit the cherries with a paring knife by slicing them in half and removing the pit. An alternative is a cherry pitter, which will remove the pit with the quick squeeze of a handle. Mix sugar, water, cinnamon and lemon juice in a pan. Heat the mixture to a boil, then reduce the heat to a low setting. Add the cherries to the mixture and simmer for 5 minutes. Turn the burner off and remove the pan from the stove. Take the cinnamon sticks out of the mixture and add brandy. Let the mixture cool in the pan for another 5 minutes. Pour the mixture into Mason jars. Screw the lids on the jars and refrigerate. The optimal marination time is 2 weeks, although the fruit will remain fresh for a couple of months if refrigerated. Experiment with ingredients. For example, substitute bourbon for half of the brandy. Only use 3/4 of the lemon juice called for in the beginning and substitute for the remaining 1/4 with limoncello or orange liqueur at the end. Never add liquor to the mixture while cooking on the stove. Make sure the cherry mixture is off of the stove and cooling when adding liquor. Gapers Block: Cherries are in Season, Time for a Drink! Joshua Levenson started writing in 2010 for various websites. He graduated from the University of Washington in 2002 with a Bachelor of Science in finance and international business. What Drinks Can You Make With Black Cherry Rum? Can You Reuse Fish Frying Oil for Other Things?